Morph Missions | Morph Missions exists to encourage and equip believers to be actively engaged in mission work by loving God and serving people. 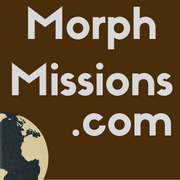 Morph Missions exists to encourage and equip believers to be actively engaged in mission work by loving God and serving people. Our current site is being updated. Visit our Facebook page to see updates and encouraging stories of mission endeavors around the world.